What do I get if I purchase the bonus materials? You get 66 downloadable items in all. All items will be available with lifetime access when you login to your account at DoorwayToMexico.com. 22 PDF study guides (250+ pages in all) with over 700 helpful tips, explanations and examples of how to use each episode’s more challenging vocabulary in real-life conversations. 22 Bonus Audio MP3s of the extended round table discussions from each episode. In all, the bonus round table discussions feature over 12 full hours of additional audio lessons where we examine each of the episode’s colloquial expressions and phrases and Paulina gives us more examples of how to use them in real life situations. For more information, visit our store. If you cannot login to access your account because of an issue with your password, first try requesting a new password using this link for Lost Passwords. Please be sure to check your spam folder if you don’t get a reply. If you do not receive an automated email reply with a new password, you can email us directly and request a new password. How do I get my bonus audio files on my iPhone, iPad or iTunes? It generally takes a few steps to download audio files from the internet on to an iPhone or iPad. In our experience, the easiest way to get audio files from the internet on to an apple device is by downloading the files on to a computer and then uploading those files to the apple device. To do this you can begin by downloading your bonus files directly on to your computer. You can access your bonus files here. Then connect your iPhone or iPad to your computer and upload those files to your apple device. Once this is done, you will be able to play your bonus audio files in iTunes or whatever music listening app you prefer to use on your apple device. For an instructional video on how to upload an audio file to an iPhone, try watching this video. For step by step instructions on how to import downloaded audio files into iTunes, click here. If the links we provided don’t solve your issue, we suggest searching Youtube for a video that specifically addresses your needs. We hope you find this information helpful, please feel free to Get In Touch with us directly if you need any further assistance. Muchas gracias por ser parte de la familia de Doorway To Mexico. Where are my bonus materials? 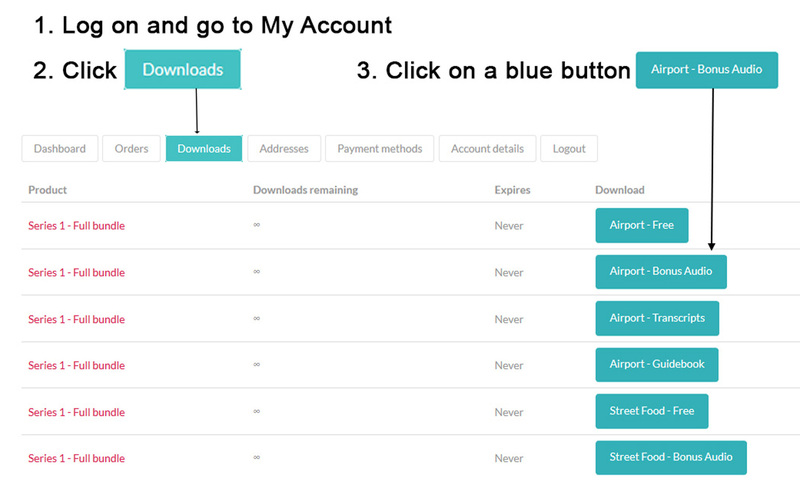 To access all of your bonus materials, you will need to log in to your account at DoorwayToMexico.com and visit your Downloads Page. On your Downloads Page, you can view or download your bonus materials at any time by clicking on the blue link buttons. The Doorway To Mexico theme song is called El Torito/El Toro Zacamandu and comes to us courtesy of Conjunto Jardin. Click here to learn more about Conjunto Jardin and the Son Jarocho movement in Mexico. ¡Gracias por visitarnos y por tu interés en nuestros episodios! Are you making any more podcasts? Yes, get ready because season 2 of the Doorway To Mexico podcast is in the works! Our small but dedicated staff is busy working on producing our second season of podcasts. You can expect more great Mexican Spanish conversations with Paulina, Michael and the Baxter family. We don’t have an exact release date yet, so be sure to sign up for our newsletter and watch your inbox for the special announcement of when the series will be launched. If your question isn't answered on this page, click here to get in touch with us and send us a message! Gracias por visitarnos y por tu interés en nuestros episodios.